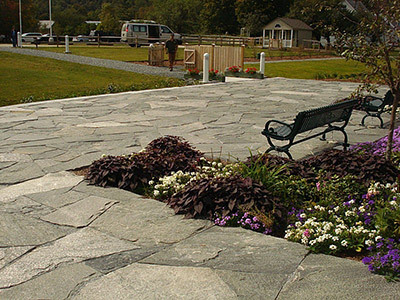 Cultured stone and natural thin stone veneer features the appearance of natural full dimension stone at one quarter the weight with the addition of significant cost savings. 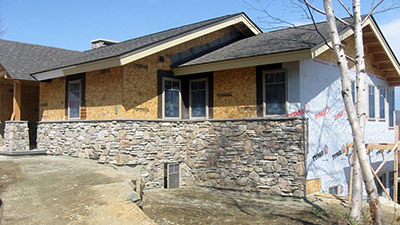 Available in a wide variety of sizes, textures and colors, cultured stone and natural thin stone veneer will improve the value and attractiveness of any residential project. FROM THE GROUND UP is proud to offer cultured stone and natural thin stone veneer products as an excellent option for our customers. From the Ground Up is one of the local companies in Central Vermont that offers first-rate masonry services. Our decades of experience in this field have helped us hone our skills and capabilities. With our expertise, clients can hire us to work on any kind of installation or construction project. We can work on hardscape features in residential properties or build concrete structures in commercial spaces with guaranteed positive outcomes. Whether your masonry project is new construction or repair of existing work, please consider us for professional masonry service. We are experienced custom stone installers. If you are selecting natural stone for your project, we provide expert stone cutting and placement with an emphasis on high quality workmanship. If you are interested in any of these services, contact us to discuss the wide array of options available to you. At From the Ground Up, we are committed to build reliable masonry features and amenities for our clients. We never shortchange our clients by using substandard materials or working hastily just to complete the project ahead of schedule. We follow systematic processes, use premium-quality materials, and apply proven installation methods and techniques to achieve the desired features of our clients. Quality is our top priority, so clients like you will always get durable and long-lasting structures. Another specialty of From the Ground Up is custom stonework. You can hire us to install natural stones on indoor and outdoor areas. Working on large projects is not a problem for us since we have the right tools and highly skilled manpower. Some of the custom stone installations that we can work on are flagstone patios, countertops, fireplace mantels, garden steps, and other stone features in the outdoors. The use of natural stone in these areas will dramatically improve the aesthetic appeal of your property. Don't hesitate to contact us for all your masonry needs. From the Ground Up will provide you with excellently built features and amenities at client-friendly rates.